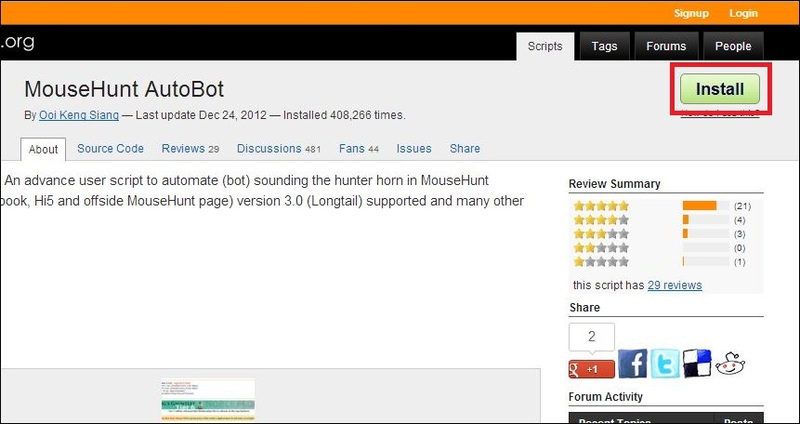 Step 2: Go to userscript.org and find the userscript you want to install. For example, if you want to install MouseHunt AutoBot, open it and hit the install button on the top right hand corner. Step 3: The Tampermonkey extension should be taking over and ask if you really wanted to install the script. Hit the OK button and OK button again to confirm the script installation. Step 4: Done! 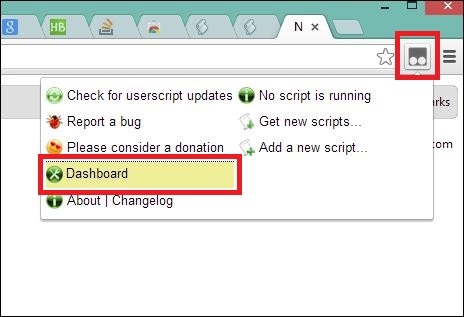 Refresh the page if you want immediate effect from the script which you have just installed. If you wish to edit the script which you have installed. Click on the Tampermonkey icon button, go to Dashboard. Now you can see the list of user scripts which you have installed. You can select any one of them and start modify it anytime. Remember to save after done modification. Step 1: Open the Tampermonkey Dashboard by clicking on the Tampermonkey icon button on the menu bar, then select Dashboard. Step 2: You should see a list of user scripts which you have installed. Search for the user script you want to delete and click on the delete button. Step 3: Confirm the delete by click on the OK button and you should see the user script is no longer on the Dashboard. Kings reward quick time player is not working for this. I can’t access http://userscripts.org/ – not on any browser. I only get ‘This webpage is not available’. Is there anywhere else I can download this script?? I cant open it too. Fckin Chrome update. usercripts.org has been down since May 2014. Here is an archive.org page of the source code – you can copy paste it into tampermonkey via the ‘add new script’ item when clicking on the tampermonkey icon. can anyone share the script here ?? Thanks, haha but I just got banned from mousehunt 4days back.